Finally some track and supports have arrived. It's a newspaper flash file, the pic is on the 12th page in the upper left corner. You have to click on the right hand arrows until you find it. 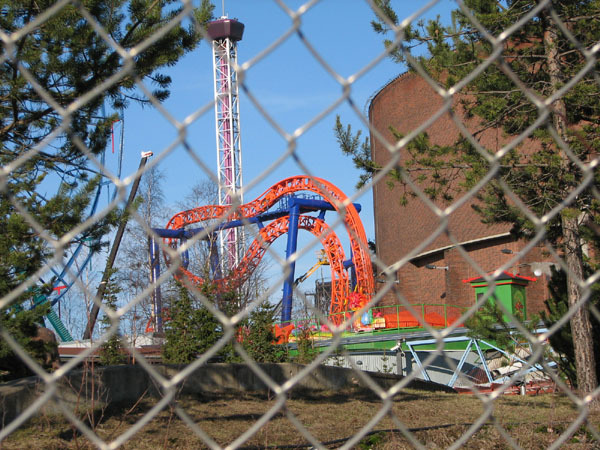 The park opens in 8 weeks so they should start construction really soon now, if they want it to be open for then. By the way: Kirnu, is Finnish (surprise, surprise) and means an old (was/is mainly used in farms by the countryside), often wooden bowl type of thing in which you blend, 'stab' cream until it becomes butter. Cool! Thanks alot for posting the link. 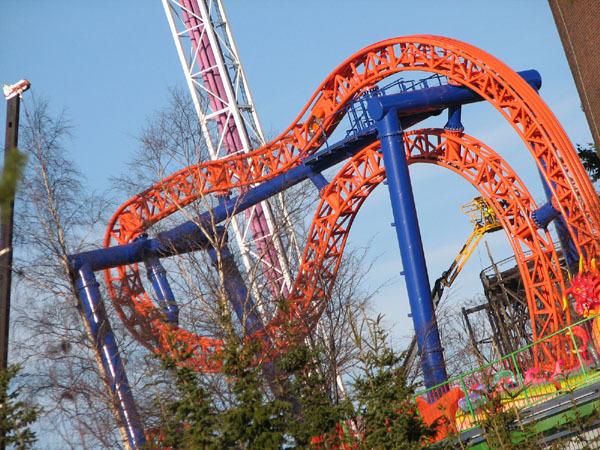 Just like the one in Terra Mitica, i'm very interrested in this coaster! 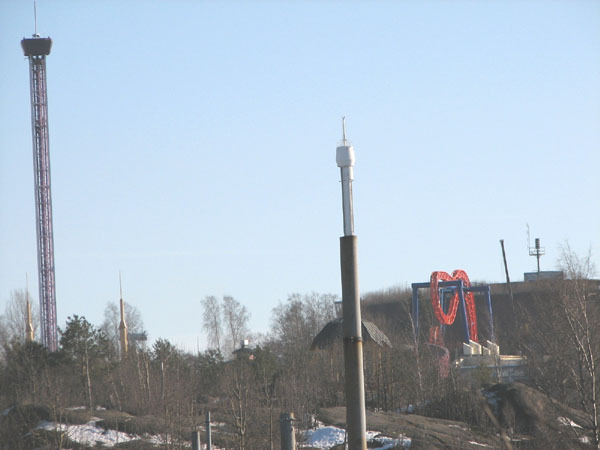 I went to the city today, on the way I took some photos of Kirnu-the new coaster, it's already complete from what I can tell, but I couldn't see the station, because of its 'hidden location'. Anyways, Here are some photos. In the middle of this mostly brown, grey dull mass, with random erect pipes and trees, you can see a new colourful structure. the obligatory, THROUGH THE TREES! !- shot. Closer. You can clearly see Kirnu's big chunky tubular feet, which are good to store Pringles-tubes in. Closer with a guy, working on the track?, drinking instant low caffeine coffee?, counting his fingers? or whatever, still it features trees. 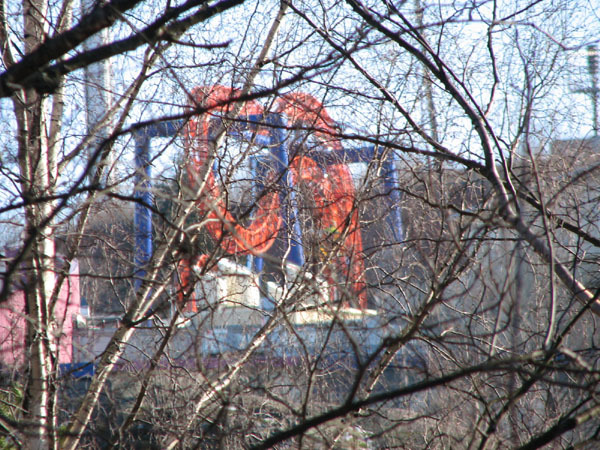 The ride from the side, through the fence. mmm... Nice curvy bits and a blurry dragon's head. That sounds almost like a japanese coaster's name translation. Tilted, slightly over the middle of the photo, you can see a wheel-sort of thing, which I guess, is a roulettewheel sideways or a liftwheel, you decide! 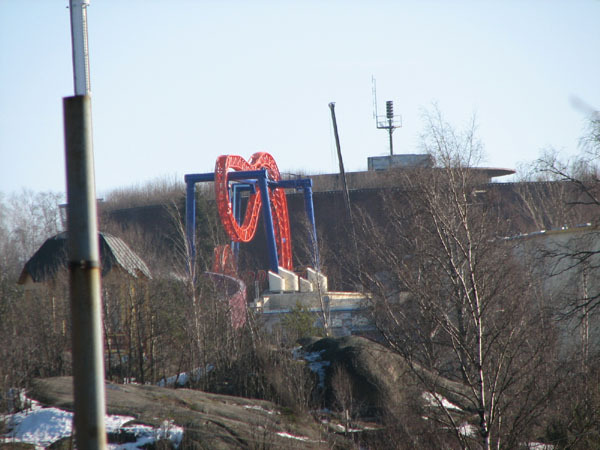 looking cool, but it's going to be very short as many finnish coasters :S I'm happy that someone posts pics of Kirnu because I live like 600km from helsinki, thanks tömmioh! 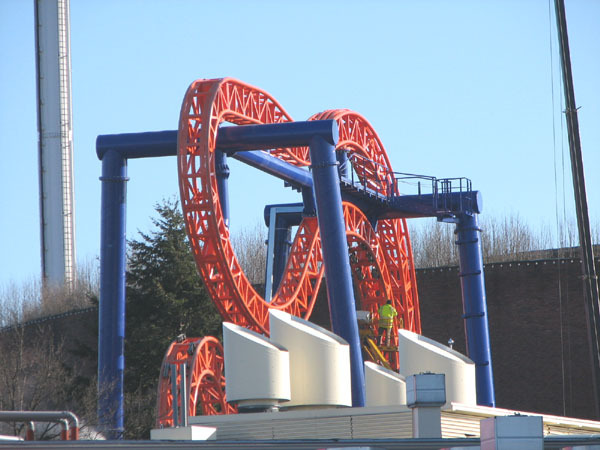 That is just the coolest looking coaster. It'd be really intruging for the general public as well. This thingy looks really weird. 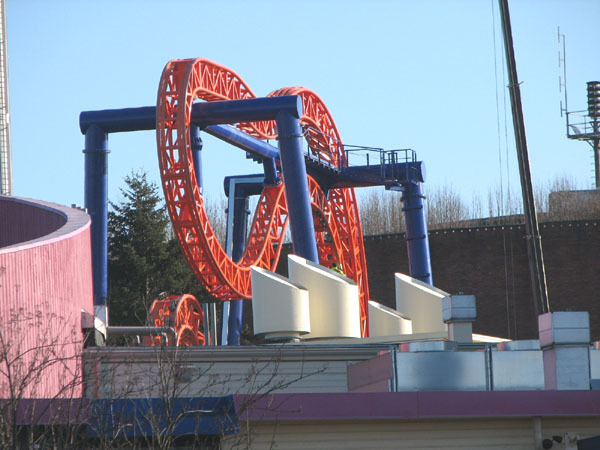 Hopefully it will give us coaster lovers a new and special sensation. I will check this one out on my scandinavian trip this year! 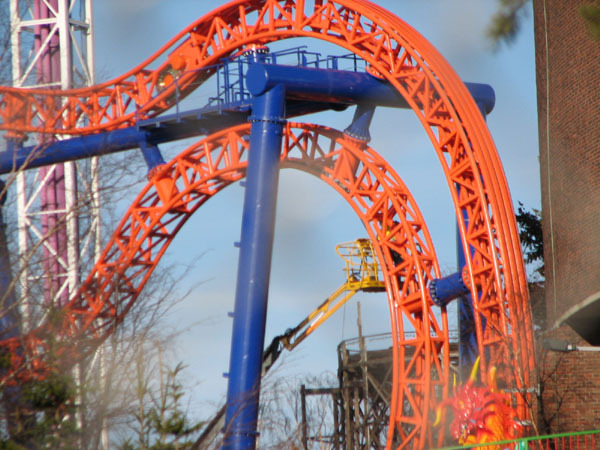 It looks twisted! Can't wait to go there!